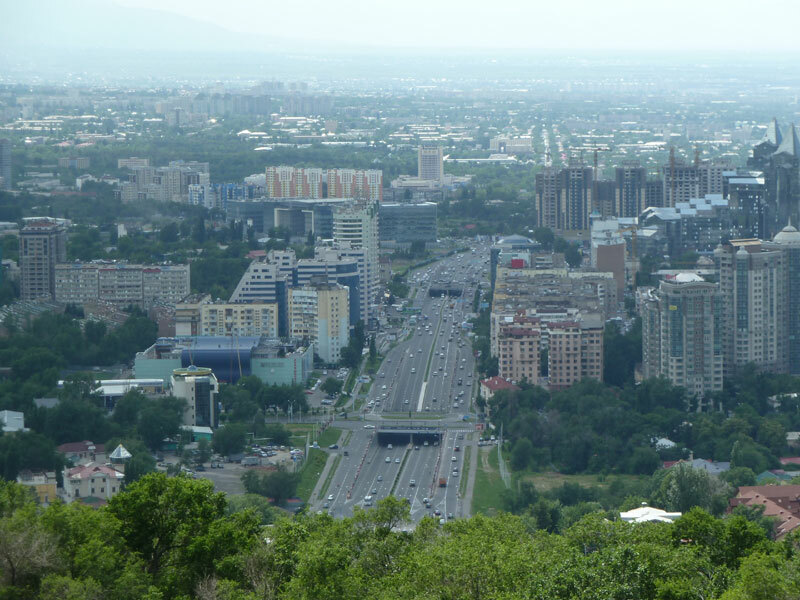 The hill the mast stands on is the highest point of the city of Almaty at 1100 metres and the mast itself is 350 meters tall. 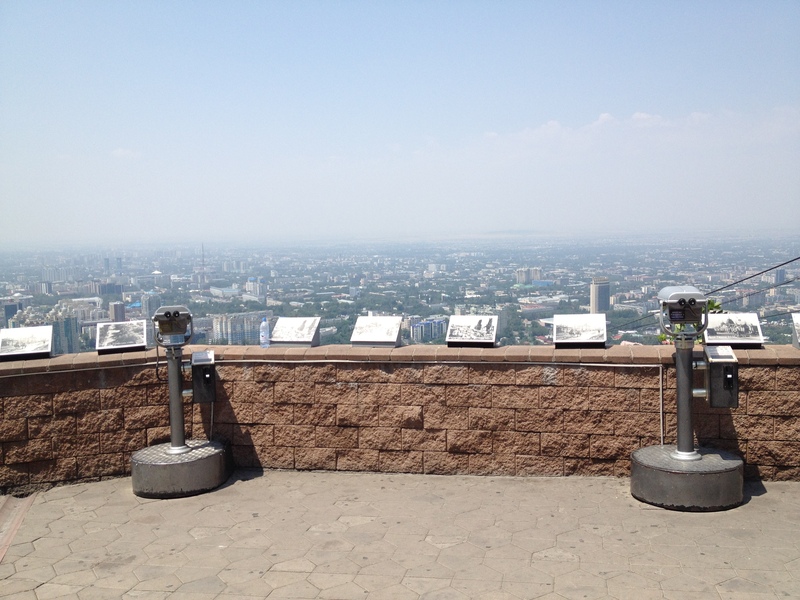 The viewpoint from Kok-tobe is well worth a visit with panoramic views of the city in all directions. 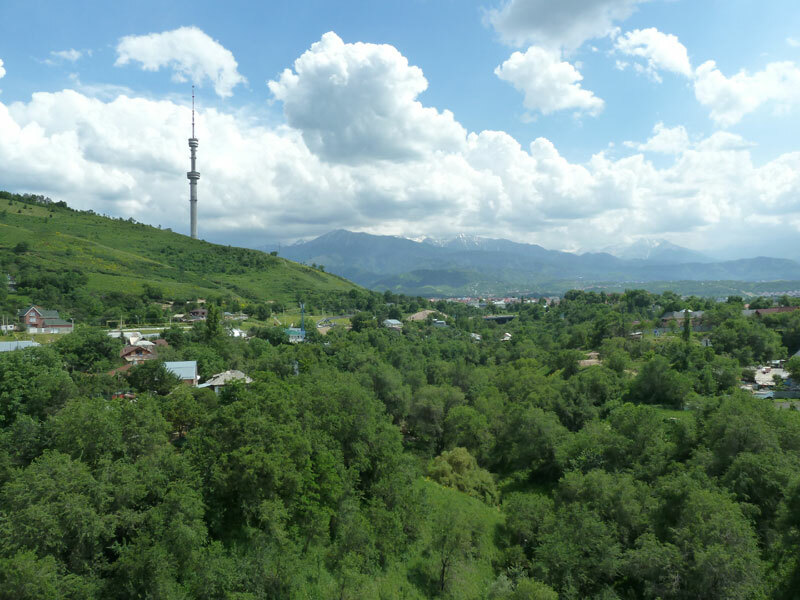 A cable car ride is a really good way to the top of Kok-tobe Hill and see the view of surrounding mountains, the start of which is located close to the Hotel Kazakhstan. 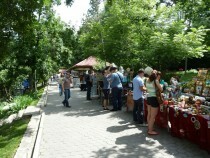 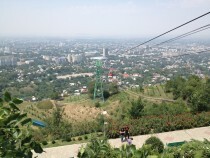 The cable car goes over some of the oldest parts of Almaty and it’s interesting to see the old fruit growing gardens. There is a charge for both the cable car and also, if you chose to walk up it. In 2006, the mountain opened a recreational entertainment center which was the start of Kok-Tobe Park. 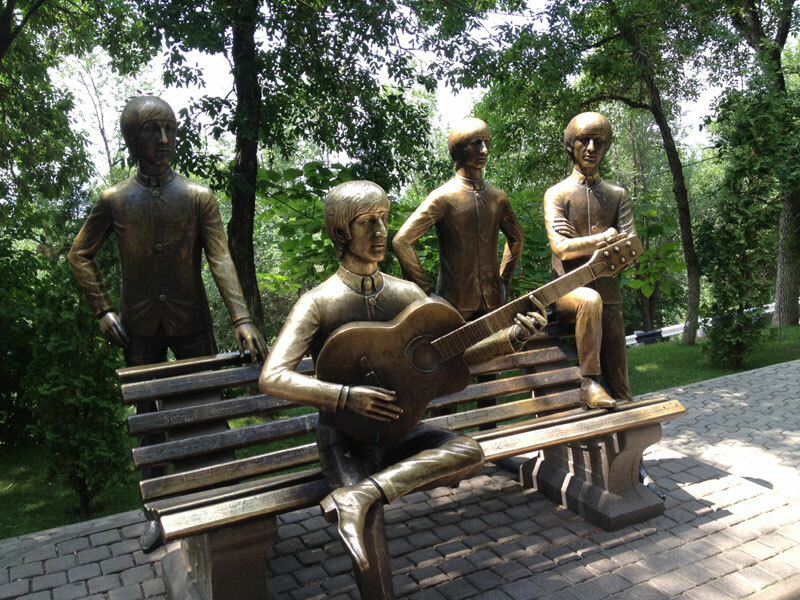 A Beatles Monument was installed in 2007. 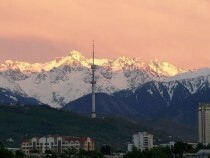 In September 2014, the mountain was closed for the purpose of the construction of a new cable car, as well as the reconstruction of the northern side of the mountain and the park. In March 2016, the park completed its construction of the cable car and the park itself was also updated which reopened its doors to visitors. 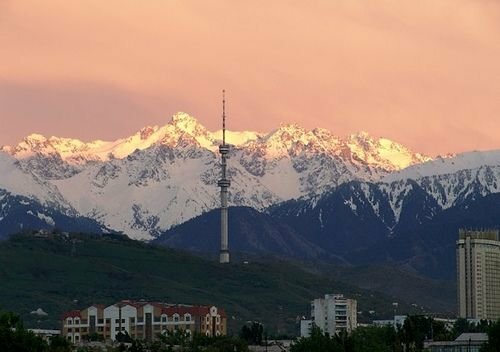 Instead of the two old cable cars, there are now 17 new cable cars. 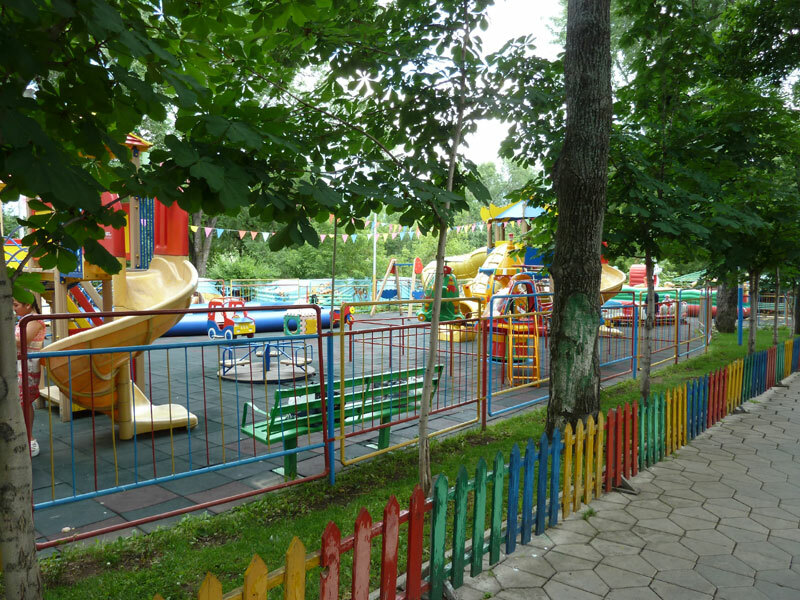 A new Ferris wheel was also installed to the park. 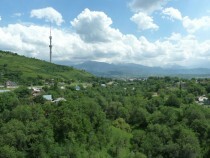 Generally, a good place for a family day out or walk with a view. 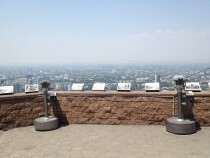 A really good place also to go in the evening to view the city lights.